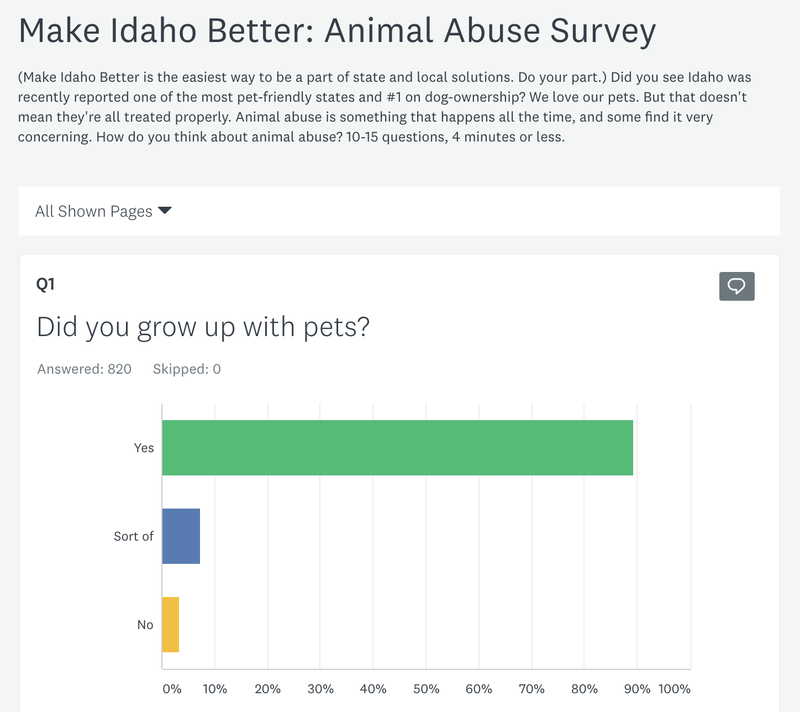 Did you see Idaho was recently reported one of the most pet-friendly states and #1 on dog-ownership? We love our pets. But that doesn’t mean they’re all treated properly. 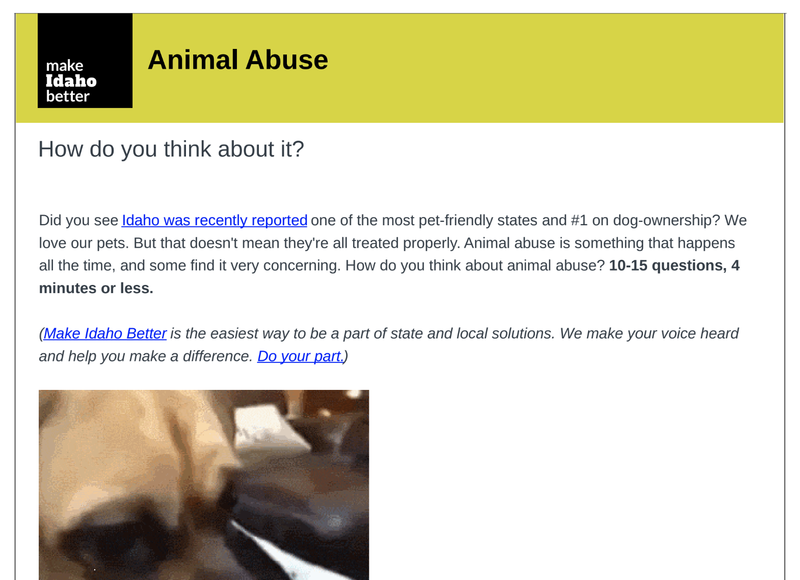 Animal abuse is something that happens all the time, and some find it very concerning. 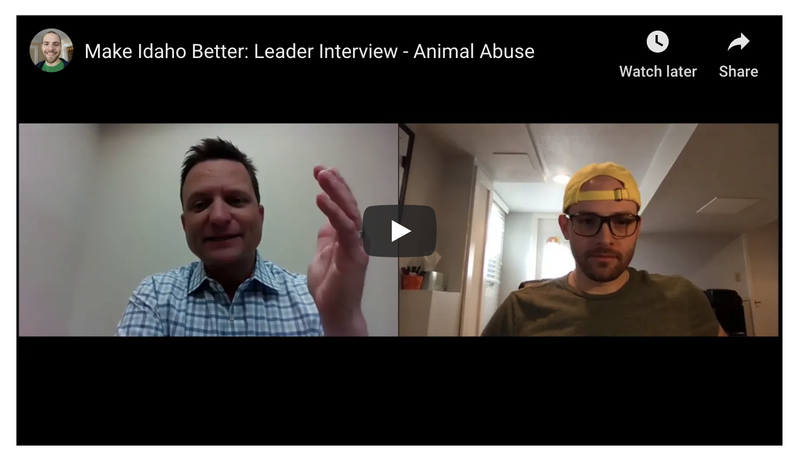 How do you think about animal abuse? 10–15 questions, 4 minutes or less. 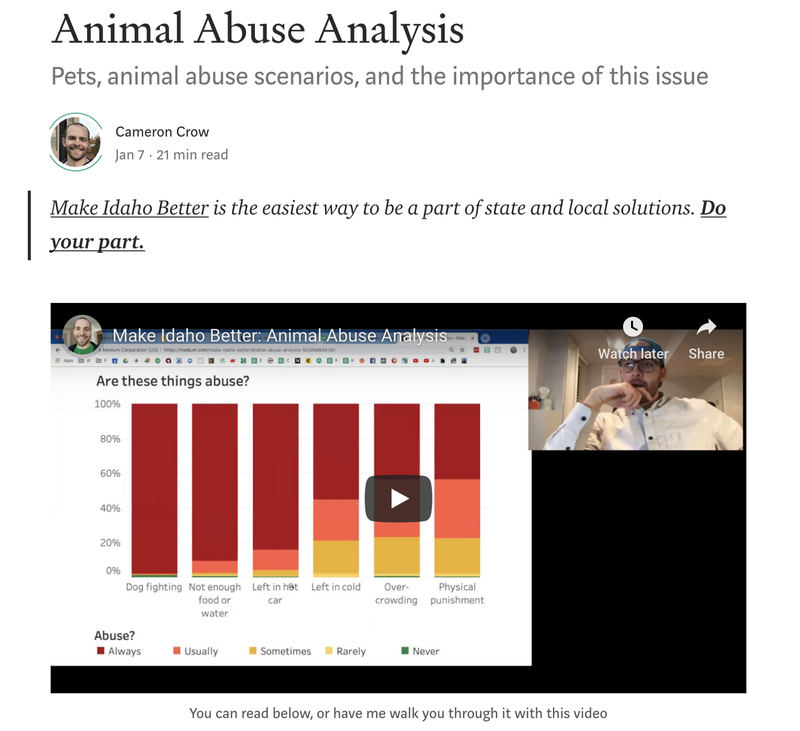 Here’s my discussion with Boise City Council Member TJ Thomson.